Please rotate your device. 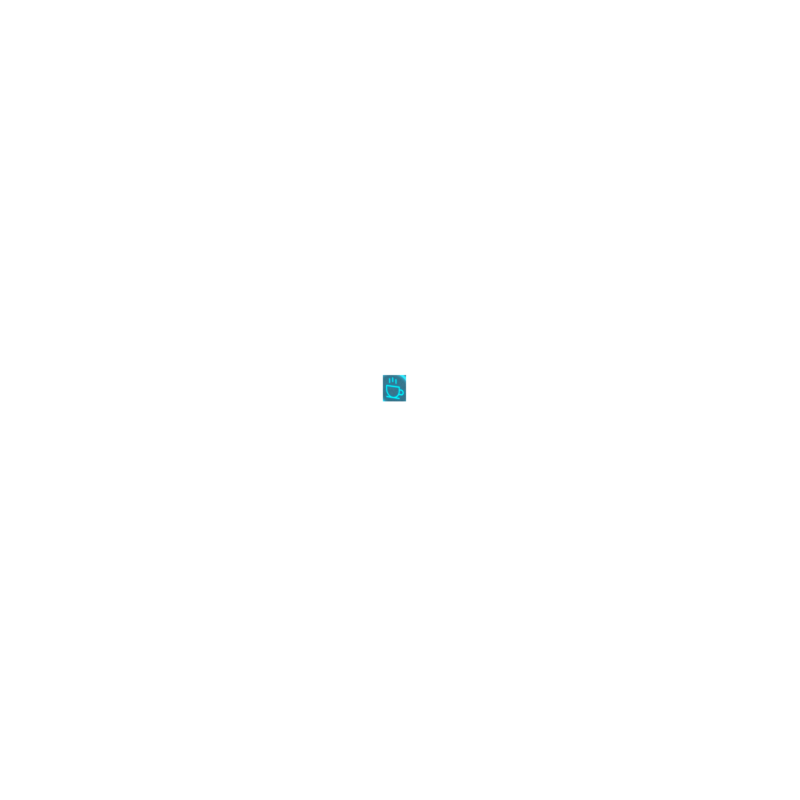 This content is best experienced with your device in landscape mode. The Ford Model A was the successor to the highly successful Ford Model T. More than 4 million vehicles were built before production came to an end. 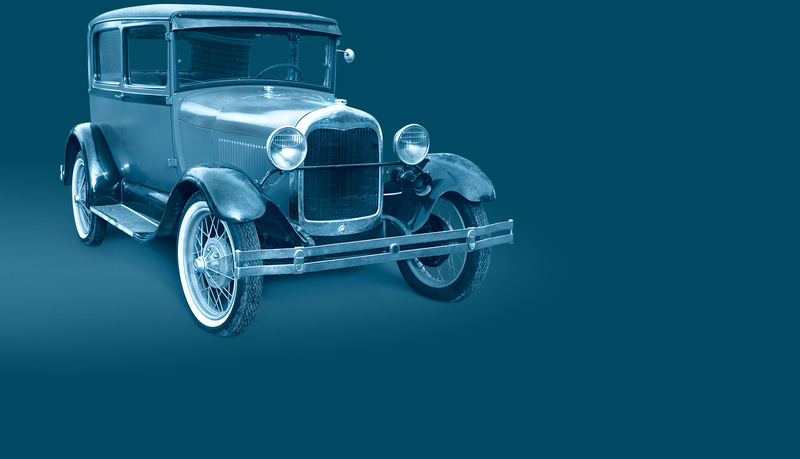 In the late 1920s, the Ford Model A conquered the automotive market. The vehicle was sold successfully up until the start of the global economic crisis, which in turn provided a key impetus for the development of the Simmerring. Known as „rigid airships,‟ zeppelins were steerable. They were named after their inventor, Ferdinand Graf von Zeppelin. At the start of the 1930s, zeppelins were used in transatlantic service and carried rising numbers of passengers between Europe and North and South America annually. 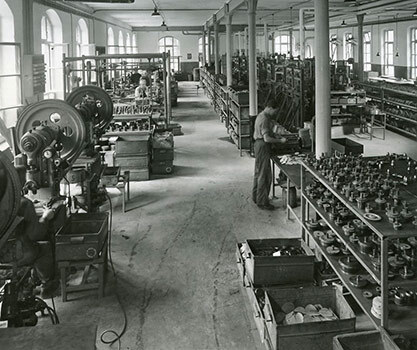 At about this time, Simmerring production began at Freudenberg’s main facility in Weinheim (Germany). 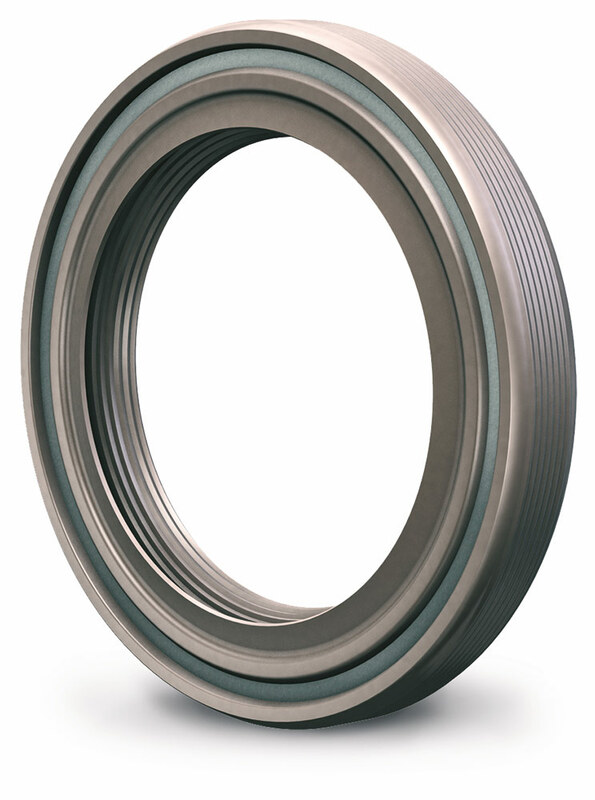 Today the term „Simmerring‟ is synonymous with radial shaft seal ring in German-speaking countries. Where did this catchy name come from? The Pennsylvania Railroad PRR Class S1 steam locomotive at the New York World’s Fair on July 15, 1939. The general technological and industrial trends in the 1930s gave birth to many innovations, such as the Pennsylvania Railroad’s streamlined Class S1, which was by far the world’s largest and highest-performance express steam locomotive. The continued development of the Simmerring also relied on high-performance technology. The Simmerring with the Perbunan seal lip ushered in a new era in sealing technology at Freudenberg – elastomer processing. The Bell X-1, no. 6063, the second plane in the X-aircraft series built for the National Advisory Committee for Aeronautics. After World War II, the United States built its „X aircraft,‟ a series of experimental airplanes built for research on new technologies. For example, in 1947, the Bell X-1 became the first manned vehicle to break the sound barrier. The Simmerring also achieved a record in 1953. 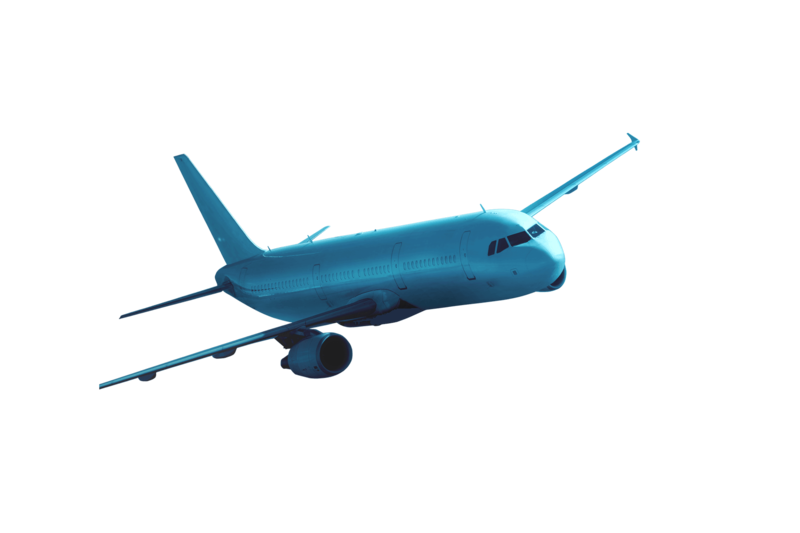 The Simmerring is a component of aircraft engines. Simmerrings were used in millions of applications and different machines in many industries by this time. The foundation for success: Continual technological advances and improvements in production efficiency. The concept was transformational: Move away from repetitive workstation manufacturing and organize the shop floor into multi-task production cells. 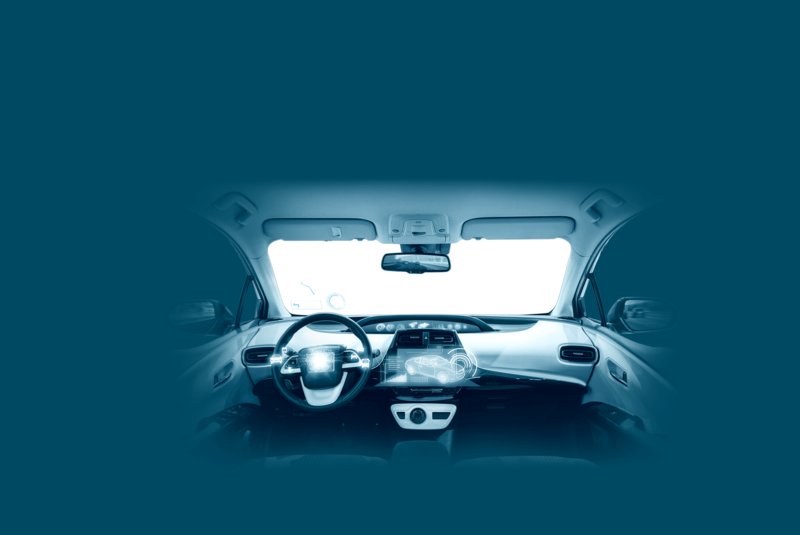 Simmerrings with added functions also make a contribution to driving safety. At the start, the Simmerring was only conceived to reliably seal rotating shafts. 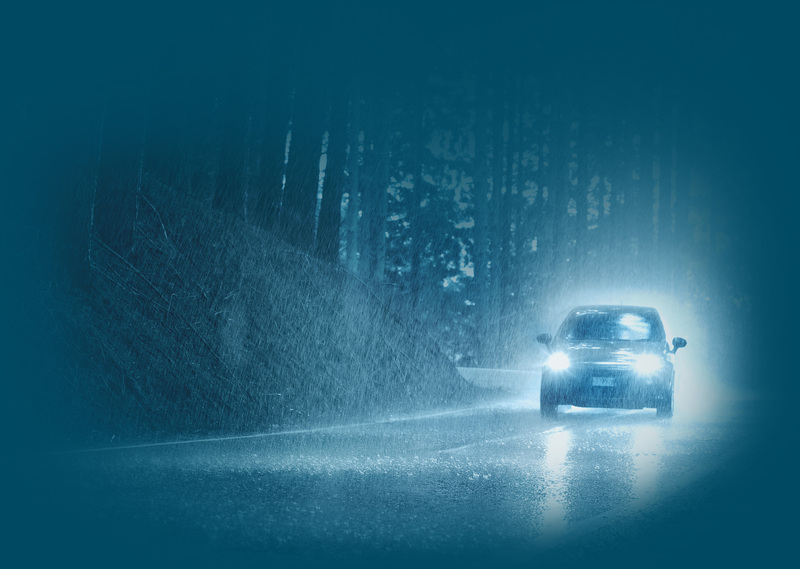 But with ongoing technological advances, it took on more and more functions, which, for example, have increased driving safety in bad weather. Special Simmerrings are installed in heavy agricultural and construction machinery. In the new millennium, the development of the Simmerring has proceeded unabated. New applications and the inroads of advanced information and communication technology into industrial production have had consequences for the „bestseller‟ from the house of Freudenberg. 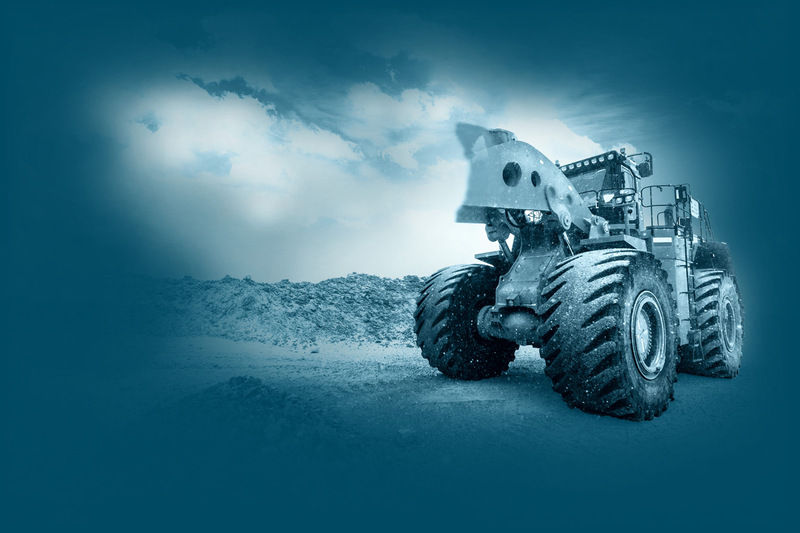 Whether dust, rain, mud, heat or cold, a special type of Simmerrings protect heavy machines used to build roads and dams and mine minerals under the most rugged environmental conditions. Sealing technologies have opened up huge opportunities to contribute effectively to emissions reduction in the auto industry. In its LESS initiative – Low Emissions Sealing Solutions – Freudenberg Sealing Technologies has bundled product innovations that reduce frictional losses, installation space, weight, fuel consumption and emissions. The Simmerring has made a contribution of its own. 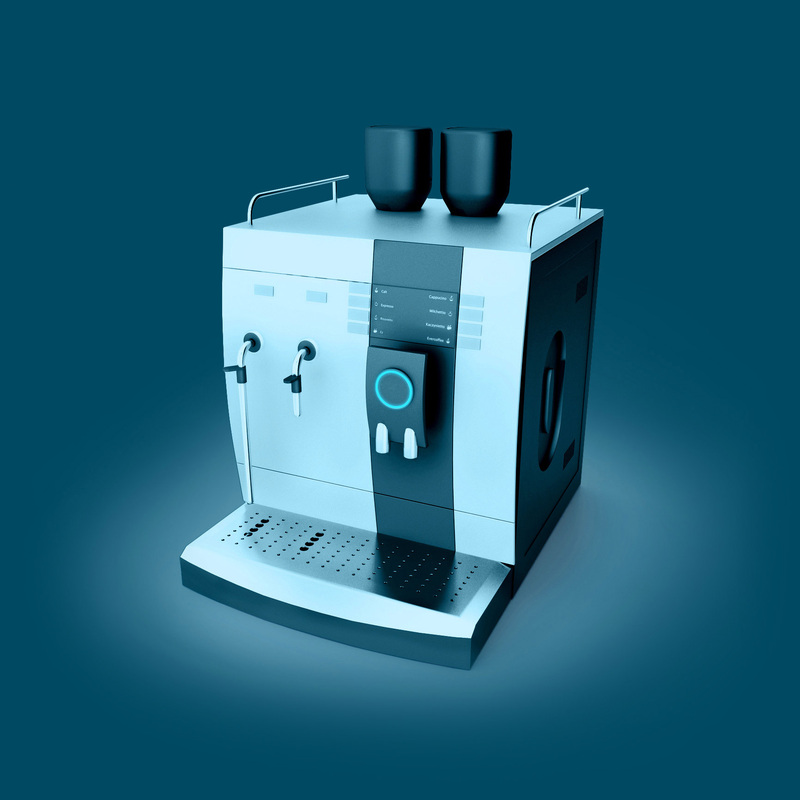 Micro-Simmerrings also perform their tasks reliably in household appliances such as fully automatic coffee machines. Machines are becoming smaller and, at the same time, their capabilities are growing. Appliances such as coffee machines use Simmerrings, and these devices are shrinking as well. This miniaturization has consequences for processed materials and components. The backup rings integrated into Simmerrings were traditionally stamped from sheet metal, leaving a significant portion of the metal as scrap. In 2010, however, Freudenberg developed a new process for metal-forming that changed this. In 2012, Freudenberg came up with a revolutionary development: its gas-lubricated mechanical face seal, Levitex. While hybrid and electric vehicles are becoming increasingly popular and important, they present manufacturers with new sealing challenges. Digitalization has long emerged from its infancy and has become a fixed component of all areas of life. 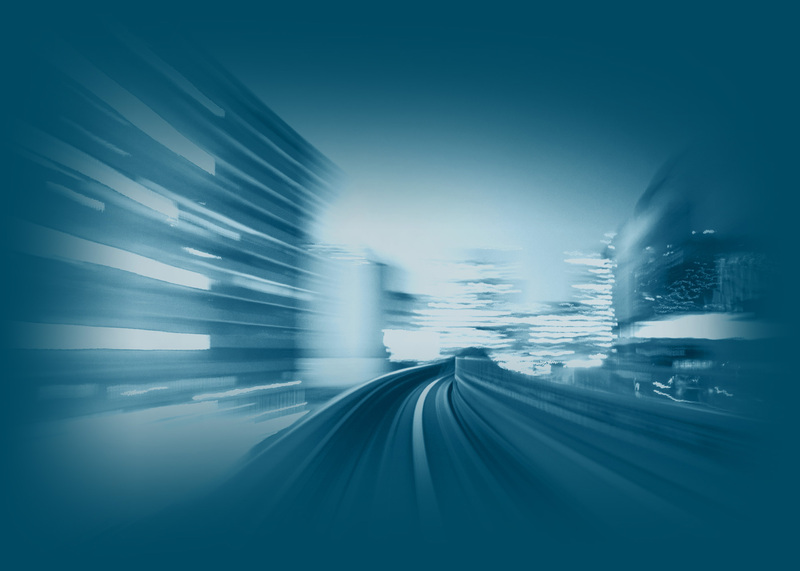 Today’s vehicles cannot drive a single mile without data processing handling its tasks. The Simmerring has found its way into the digital world as well. The success story of the Simmerring continues. Like its history, its future will be driven by Freudenberg’s dynamic technical developments and technological competency. 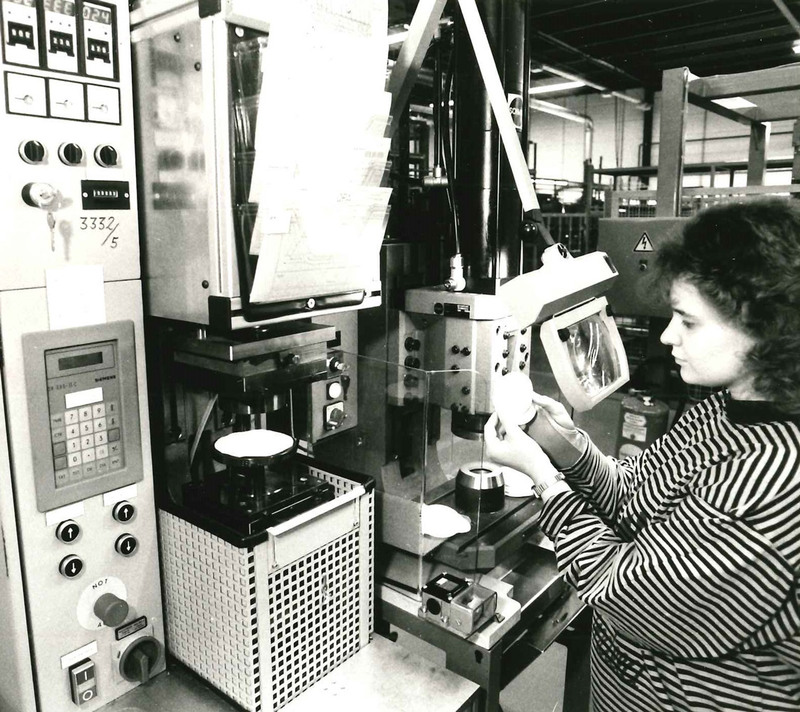 Continuous improvement has been a major focus within Freudenberg since the beginnings of its industrial production. Whether a seal is large or small, the environmental challenges it is expected to address often drive new design innovations. The more than 200 million Simmerrings that Freudenberg produces each year must meet increasingly varied extremes. From A for Ashland to W for Wuxi. Freudenberg produces Simmerrings worldwide. In 1929, the global economic crisis brought the entire German leather industry to the limits of its viability. It also had a negative impact on the Freudenberg tannery. Founded in 1849, the company was then Europe’s largest leather producer. 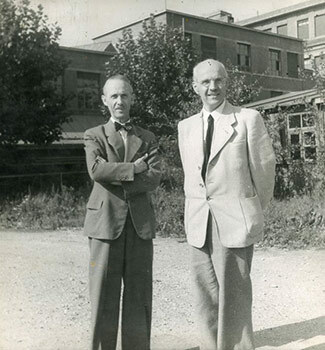 Because of the resulting difficult economic situation, the company’s then-managing directors and brothers, Richard, Hans, Otto and Walter Freudenberg, turned to product diversification as a solution. The idea was to serve a wider market and to better distribute economic risks by venturing into the development of new products. 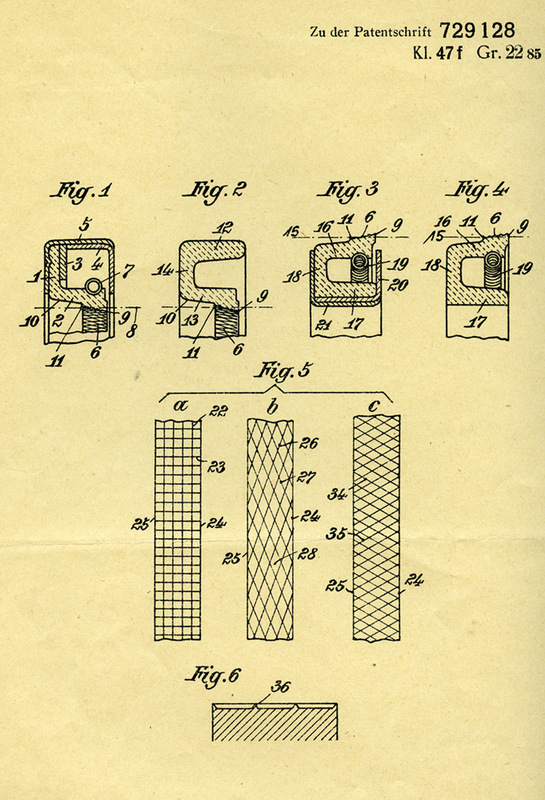 The first step was the production of leather cup seals made for a then-fast-growing auto industry in 1929, a type of product already in use in the U.S.
Dr. Hans Freudenberg assigned engineer Walther Simmer – who had been in charge of the tanning machines up until then – the task of developing a machine that could make leather sleeves out of leather pieces. Initially with one employee, and later with two, Simmer carried out the first tests and shortly thereafter designed a screw press capable of producing leather sleeves much like the sample from the U.S. The start of Simmerring production at the Freudenberg headquarters in Weinheim, Germany, ushered in a new era in the company’s history. 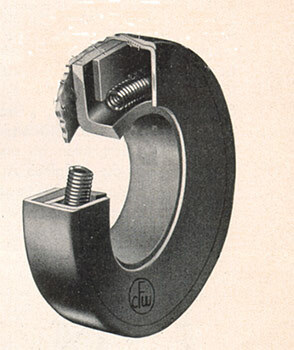 Until that point, rotating shafts were sealed with felt strips that pressed the bearing cap into a groove. But this form of sealing frequently led to bearing damage in engines and axle bearings because to the seal could overheat. 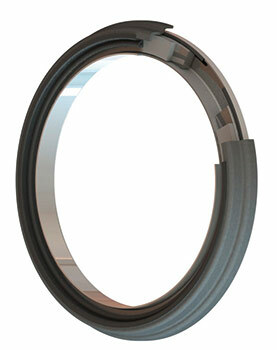 A sample from the United States initiated the idea of developing radial shaft seal rings. The team’s new contribution to the development was to offer a complete installation element. It consisted of a leather sleeve that was firmly fitted into a sheet metal housing. This unique design achieved better sealing than the felt strips right from the start. A worm spring was added in a subsequent step. It further improved the seal’s functioning by increasing the radial contact pressure. Things were happening in material development as well. The leather for the Simmerring was no longer impregnated with wax but rather with Acronal, a rubber-like substance. This considerably improved the elasticity of the sleeve. 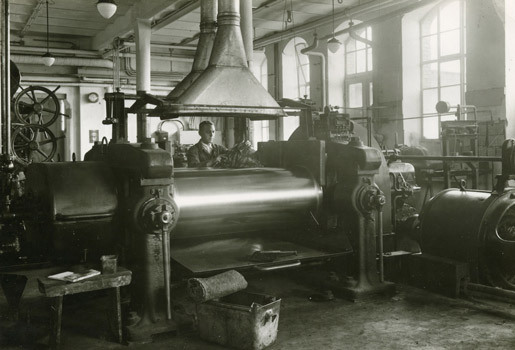 The first series output of the innovative radial shaft seal ring was already heading to Wanderer Werke in Zwickau, Germany, in 1932. 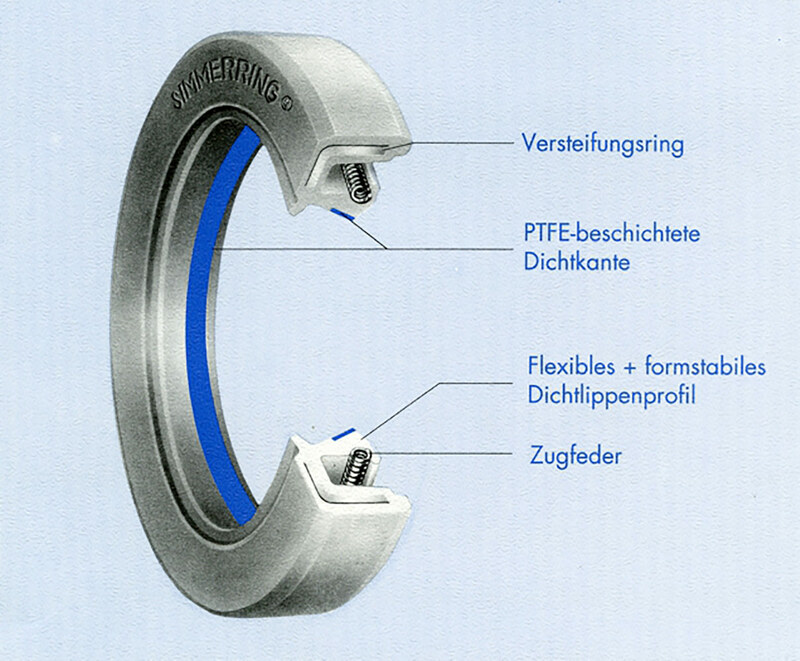 Today the term „Simmerring‟ is synonymous with radial shaft seal ring in German-speaking countries. Where did this catchy name come from? The seal has two namesakes. First, the name references the auto race at Semmerring in Austria, which was a very popular and well-known event at the time. Since the 19th century, the village of Semmerring had been a popular holiday destination for Vienna’s elite society. To suitably entertain the guests, motorsport events were held on a 10-km race track until 1933. Secondly, the seal is named to honor its developer, Walther Simmer. At that time, it was customary at Freudenberg for the developers to participate in the naming of their innovations. In the process, it was not uncommon for product names to emerge that were based on the names of their creators. 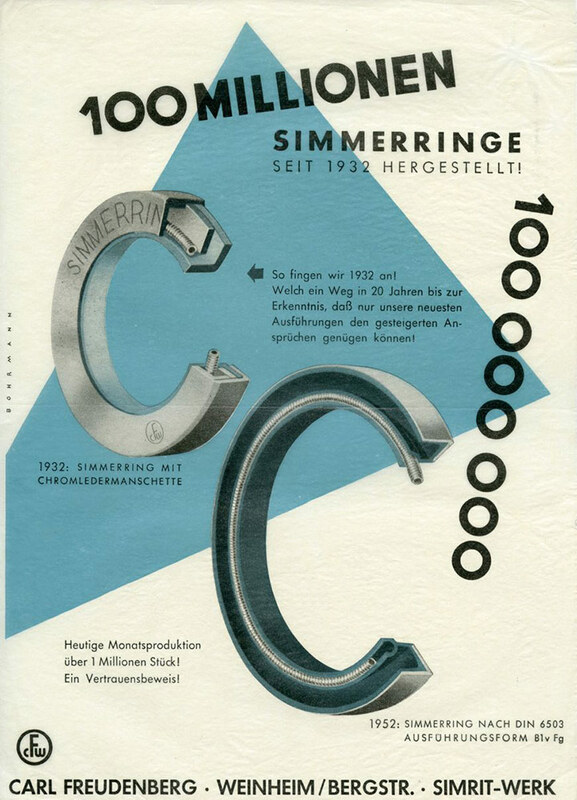 The combination of his own name and the allusion to the well-known car race in his Austrian homeland led Walter Simmer to propose „Simmerring‟ as the name for his radial shaft seal ring. In many parts of the world, the term „Simmerring‟ stands for the reliable sealing of rotating shafts 85 years after its development. 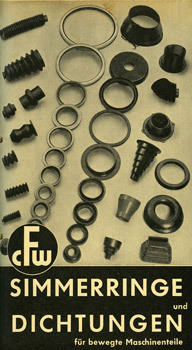 During the 1930s, leather Simmerrings and their new, more advanced designs were in high demand in the automotive and roller bearing industries.  The incorporation of the leather ring into a sheet-metal casing – together with a worm spring – provided a durable enclosure for the rotating shaft. But the early Simmerrings showed little resistance to high temperatures. Yet another The leather shrank considerably over time, which meant that only small shaft diameters could be sealed. In addition, due to the National Socialists’ efforts to achieve autarky, it became increasingly difficult to import enough raw skins for the production of leather. As a result, there was a leather shortage in Germany starting in 1934. In response, Freudenberg experimented with synthetic rubber as a sealing material. 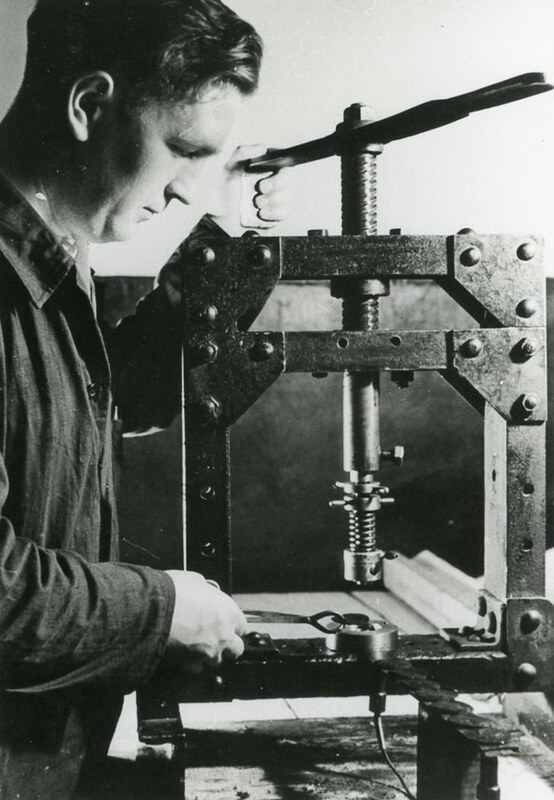 The early tests with Buna N (acrylonitrile butadiene rubber) were carried out at Freudenberg in 1935. The material proved to be more temperature-resistant than leather which was especially valuable to the auto industry. In 1936, the first Simmerring made of Perbunan enters the market. 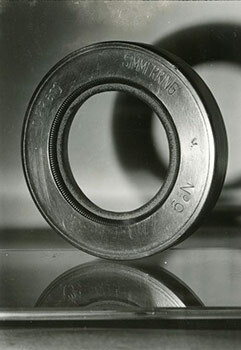 In 1936, a seal ring made of Perbunan was developed that exhibited high temperature stability and welling resistance to petroleum oils. The Perbunan Simmerring represented a quantum leap for the sealing specialist. The new material facilitated better ways to form the seal body.  Once the basic shape of the seal was formed through vulcanization, the seal lip was precisely adjusted for unique applications during special post processing. This methodology reduced overall production costs by 80 percent. 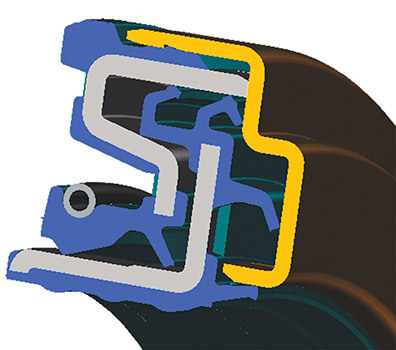 The internal pressure of the medium to be sealed facilitated effective sealing during operation, and the integrated worm spring provided additional contact pressure. For the first time, Freudenberg was able to achieve optimal sealing function on a rotating shaft by introducing the Simmerring with the Perbunan sealing lip. 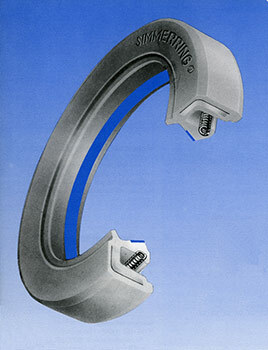 Sealing difficult applications like the driveshaft in an automobile was now possible, and Freudenberg’s reputation as the world’s leading sealing specialist was established. The Simmerring with the Perbunan seal lip ushered in a new era in sealing technology at Freudenberg – elastomer processing. This new Simmerring configuration, consisting of a metal housing, worm spring and seal lip made of the new material, was a world first. Based on the innovation, Walther Simmer submitted the first Simmerring patent application with the German patent office on behalf of Freudenberg on Feb. 27, 1938. From this point on, the metal housing for Simmerrings was given an additional embossment: D.R.P.ang, which indicated that a German patent had been registered. 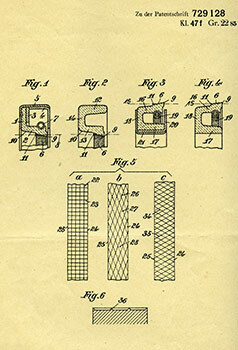 When the patent was approved on Nov. 12, 1942, the embossment was removed. Since then, numerous other Freudenberg patents for innovative Simmerring developments have followed this original protection. ... left the plant on January 3, 1953. 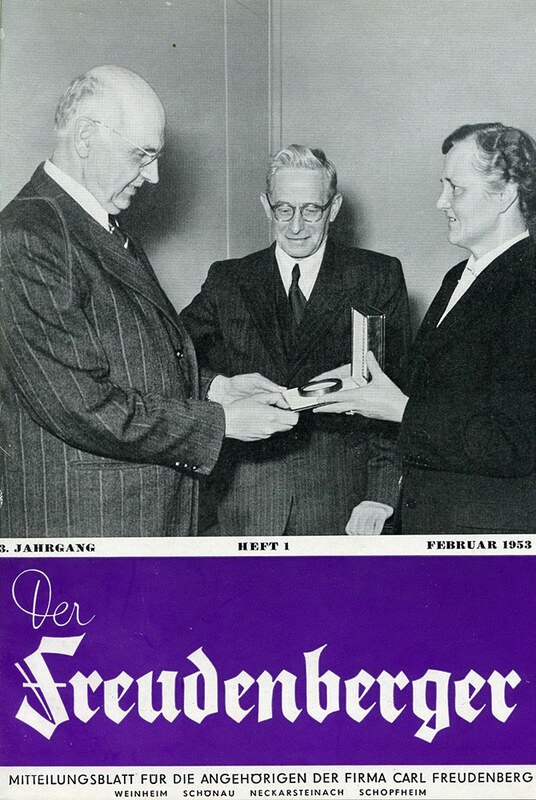 But unlike its predecessors, its purpose was not to seal a rotating shaft – another imposing task awaited it: In a ceremony on January 13, the seal was presented to Hans Freudenberg as an emblem marking decades of remarkable achievements and production milestones. In his speech, Hans Freudenberg emphasized the progress that had been made by the company since the end of the World War II and the values that should lead to success in the future: „We must put quality, fairness and flexibility first at all times, especially in the service of the customer." In 1980, a variation of the Simmerring with a PTFE sleeve made its way into internal combustion engines in Europe and America. It replaced the elastomer seal edge previously used and cleared the way for new Simmerring applications. The material PTFE (polytetrafluoroethylene) scores points for its chemical resistance to nearly all oils and additives. 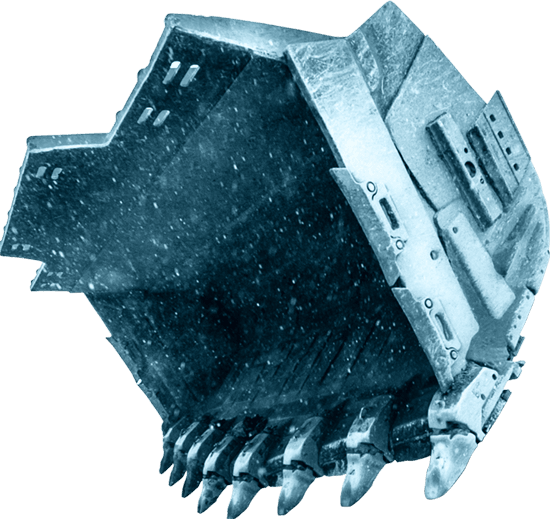 It even maintains its flexibility below -40°C and is resistant to temperatures as high as +260°C. The return threads, integrated on the bottom of the sealing edge, also optimize the operation of the Simmerring, which functions like a micro-pump. It transports microscopically small oil drops back into the space to be sealed off – under and past the seal. Return structures strengthen the effect.  Only with these advances was it possible for Simmerrings to seal reliably. The concept was transformational: Move away from repetitive workstation manufacturing and organize the shop floor into multi-task production cells. With this strategy in mind, Freudenberg launched three-year plan in 1985 to completely reorganize its Simmerring production. It was a leap away from traditional batch production and its repetitive movements to a new way of industrial thinking based upon the quality assurance program Q76 and the addition of kanbans – a system of process control developed in Japan – and just-in-time methods. 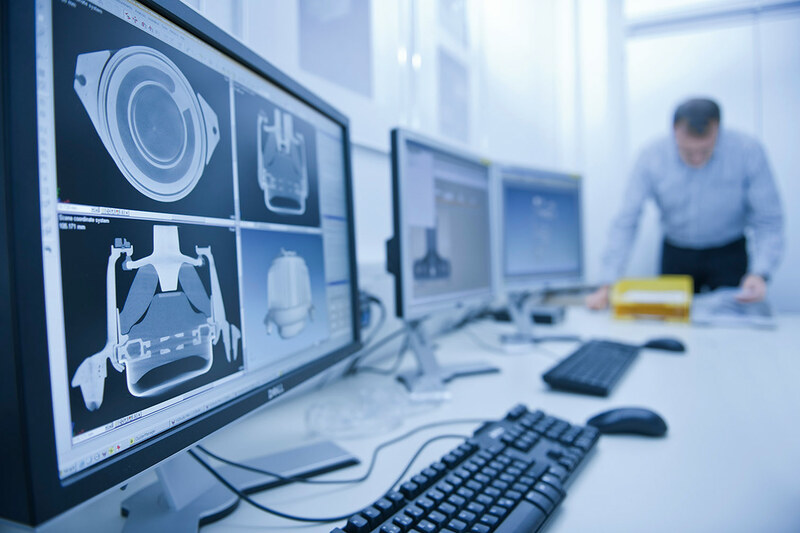 A manufacturing cell is like a small „factory in a factory,‟ where one employee completely assembles the product – from the withdrawal of the blank to the packaging process. The work not only becomes more varied but the quality of the manufactured product rises significantly. A substantially lower scrap rate demonstrated t he success of the approach: While the rate had previously been measured in percentages, it began to be tallied in tenths of a percent with cell production. Components that perform multiple functions hold tremendous value for today’s industrial customers. 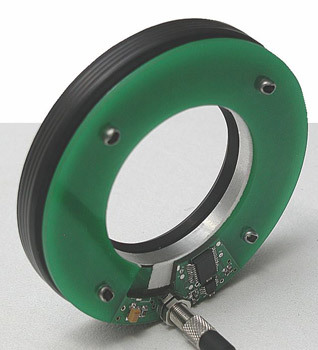 A seal that can detect rotational angle velocity, rotation speed deformity and rotation angle positions of a shaft while reliably sealing a system, for example, solves multiple challenges in one compact package. Freudenberg developed just such a solution in 1997 when it introduced a Simmerring that also functions as a sensor with a multipole encoder. In concert with its superior sealing function, this Simmerrring delivers key advantages over mechanical transmitter wheels in radial and axial signal detection. This Simmerring incorporates a magnetized rubber exterior consisting of alternately coded north and south poles. Using this data, appropriate control systems can then optimize internal processes.  In engine management, for example, encoders provide a precise measurement of the crankshaft’s rotational speed and the position of its upper dead point. The angular position of camshafts is used to identify the optimal timing for fuel injection. In combination with an absolute encoder, the position of a shaft can even be determined at a standstill. 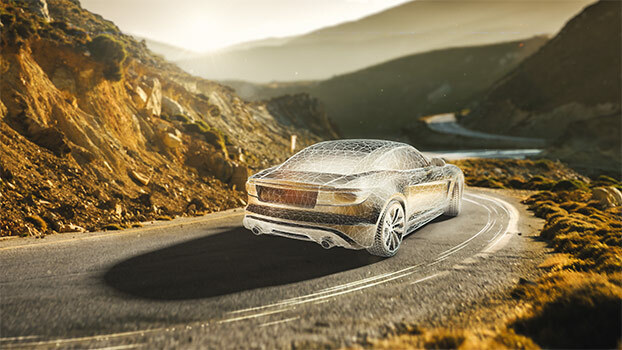 In a vehicle’s drivetrain, the Simmerring-sensor combination with multipole encoder provides greater safety on the road by measuring wheel rotational speeds for ABS, TCS and ESP systems. Since 2006, a new Simmerring with an integrated condition monitoring function has been able to answer that question on its own. During shaft feedthrough, Simmerrings assure the reliable functioning of machines and assemblies under even the harshest operating conditions. Nonetheless, the seals can experience wear and must be replaced at regular intervals to insure optimal functionality. 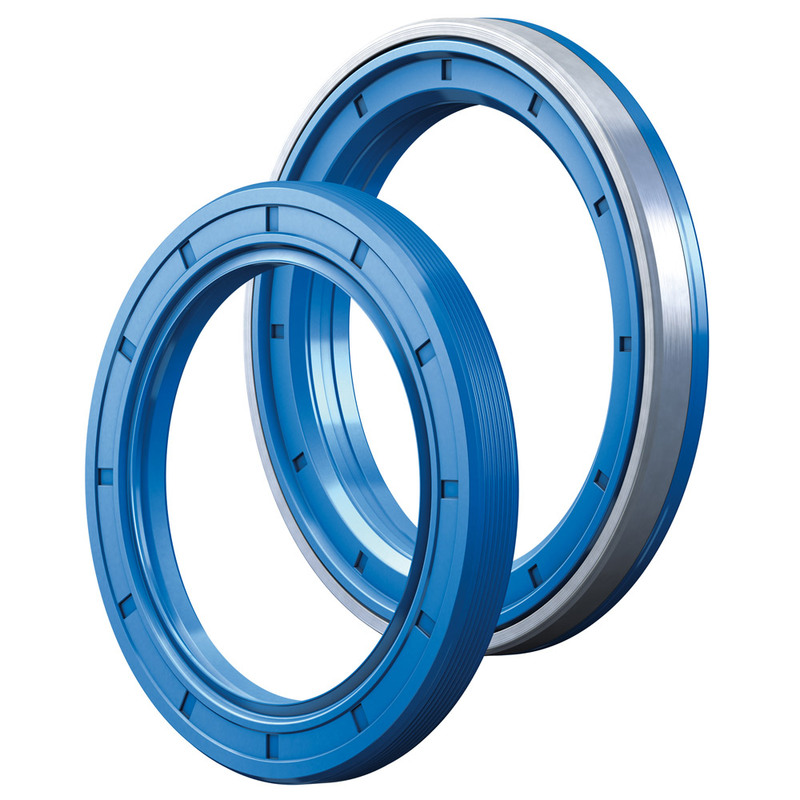 Freudenberg has equipped Simmerrings with a condition monitoring function so shaft seal rings that are still fully functional are not replaced on a purely preventative basis. 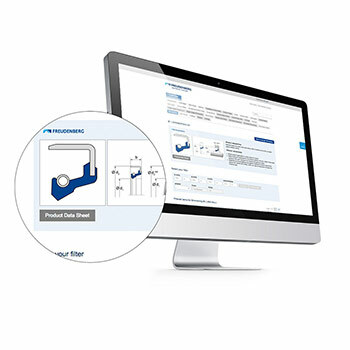 The function reliably tracks when maintenance or replacement is actually necessary, simplifying service, especially in hard-to-reach locations or in remote machines and equipment. Introduced in 2006, the Simmerring with an integrated sensor is based on the tried-and-tested MSS1 Simmerring (Modular Sealing Solution). It was developed for the unique requirements of industrial transmissions and offers the necessary high resistance to dirt and metallic abrasion in the oil chamber. 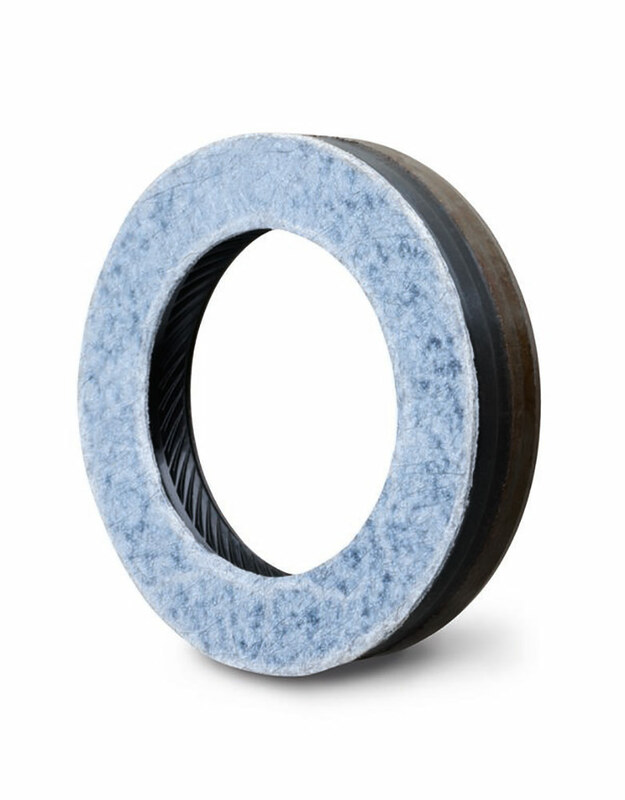 If there is a decline in the seal function on the oil-side of the seal lip during its lifespan, the oil entering into the seal’s intermediate space is absorbed by a special Freudenberg absorbent nonwoven. An optical sensor integrated into the sealing system identifies the wear-related oil contamination on the nonwoven and generates a signal that is evaluated by a programmable electronic unit. This optimizes maintenance costs and helps protect the environment.  If necessary, these Simmerrings can be equipped with additional monitoring functions to track inputs like temperature. Freudenberg cassette seals can handle maximum loads under extreme conditions. Whether dust, rain, mud, heat or cold, these seals protect the hard working machines used to build roads and dams and mine minerals under the most rugged environmental conditions. 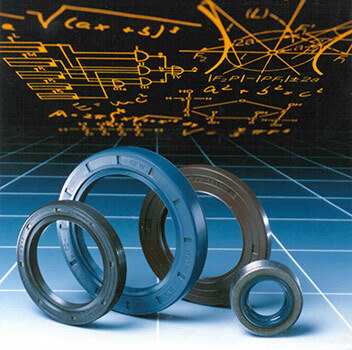 Freudenberg’s cassette seals rely upon a closed sealing system that incorporates a hydro-dynamically-acting seal lip and a radially arranged, integrated thrust ring. Cassette seals are impressive for their robustness under high-energy, high-stress conditions. They are enthusiastically embraced by commercial vehicle manufacturers for use in crankshaft, wheel, and axle hub applications because they seal out environmental contaminants and help save significant fuel. A long-term test over 1.6 million km showed that the friction in cassette seals is reduced by 60 percent compared to a normal seal, decreasing fuel consumption enormously. 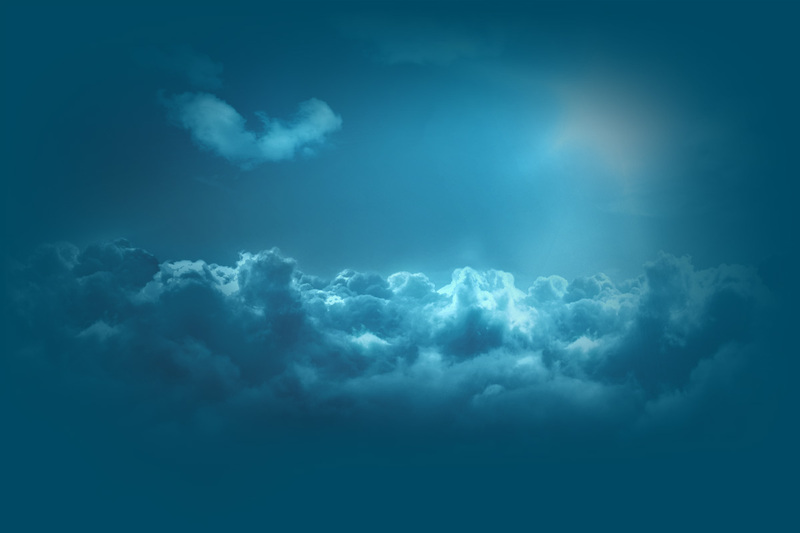 In addition, the formation of deposits such as oil carbon is greatly reduced. Temperature- and wear-resistant, high-performance elastomers facilitated this development. Demands on vehicle manufacturers to improve performance and efficiency while lowering emissions continues to intensify. 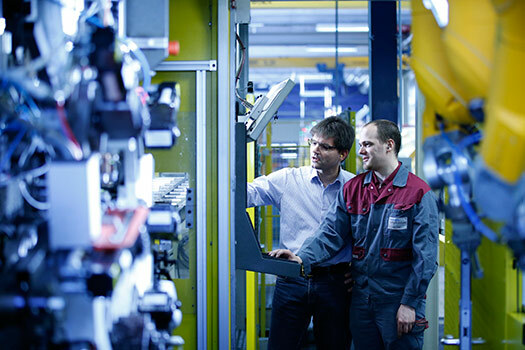 Other technological challenges – tighter installation spaces, turbocharging and eight-, nine- and 10-speed transmissions, among others – are also challenging the auto industry to seek innovation, high-quality systems solutions available. . Freudenberg’s answer is its LESS (Low Emission Sealing Solutions) portfolio of products. LESS products reduce friction and lower weight, thus reducing fuel consumption and emissions. In addition, the trend toward smaller engines and higher performance demands special seals that offer higher heat and pressure resistance in tight spaces. LESS combines maximum efficiency for improved performance with reduced energy consumption and thus lower emissions. The amount of friction in a Simmerring’s sealing gap depends on numerous parameters. The most important are the oil viscosity, rotational speed, shaft diameter, contact surface and the height of the lubricating film. The development of the ESS, POP and BlueSeal Simmerrings shows the enormous potential residing in the reduction of friction alone. The Simmerring ESS (Energy Saving Seal) is a spring-less Simmerring designed for use in crankshaft and camshaft applications as well as transmission applications. It combines the robust sealing mechanism of the PTFE sleeve with the reduced friction of an elastomer seal. Thanks to PTFE, the radial force remains stable across its entire range of temperatures, guaranteeing good sealing behavior even during cold starts. The advantage of the ESS Simmerring: Compared to the conventional PTFE lip, it reduces friction by about 40 percent. Comprehensive tests in the company’s test facility have verified the seal’s quality. The ESS completed endurance tests of 84,000 hours in Weinheim, Germany. That corresponds to 12.6 billion rotations or a mileage of 13.7 million km in a car. An additional innovation, the POP (Power-Optimized PTFE) Simmerring emerged in 2008. It combines the robustness of PTFE with extremely low friction and is designed to handle the pressure conditions in turbocharged engines. Compared to the first PTFE Simmerrings, it can save about 40 watts at 6,000 rpm today. The first series came off the line in 2011. In addition to lower emissions, the downsizing of engines involves reductions in installation space and weight. 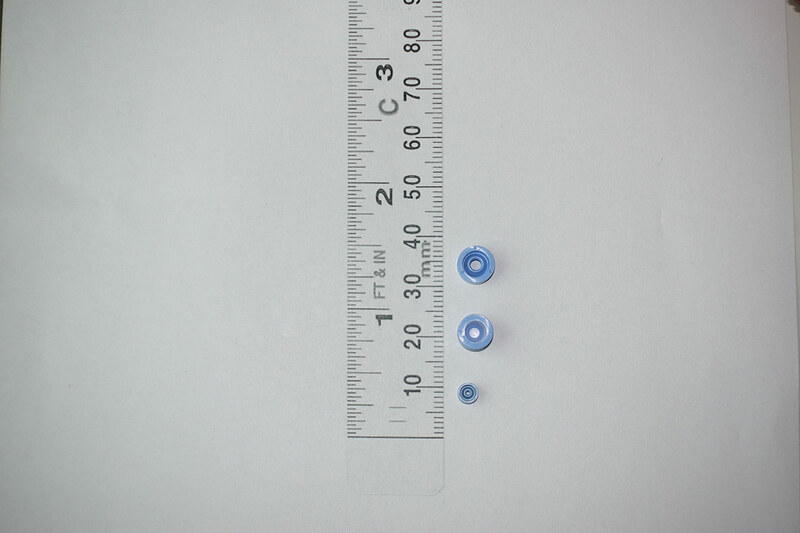 For example, conventional Simmerrings require an axial installation space of about 8 to 11 mm. That increases the overall length of the engine. The more you can save here, the greater the advantage. Within a few years, Freudenberg had developed a new solution by further refining the POP Simmerring into the BlueSeal Simmerring. 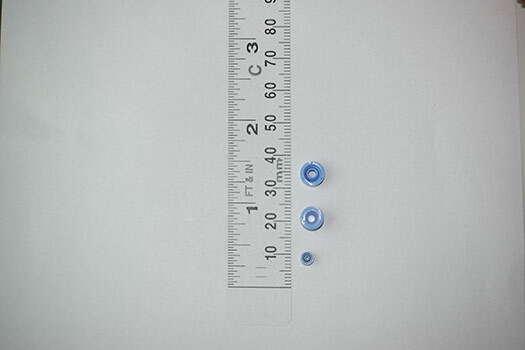 This design does without the customary axial rubber-coating and connects the PTFE sleeve directly to the air side of the metal reinforcement ring. The main advantages of this development are a radial installation space of just 5 mm, a weight of just 30 grams (shaft diameter 85 mm), outstanding thermal and chemical resistance, thanks to the PTFE, and minimized friction due to the POP concept. Today’s technical devices are becoming smaller and smarter – and are consuming steadily shrinking amounts of energy. This miniaturization has consequences for the Simmerrings that they use. Even in the smallest dimensions, the seals must ensure that the devices are securely sealed and function reliably. 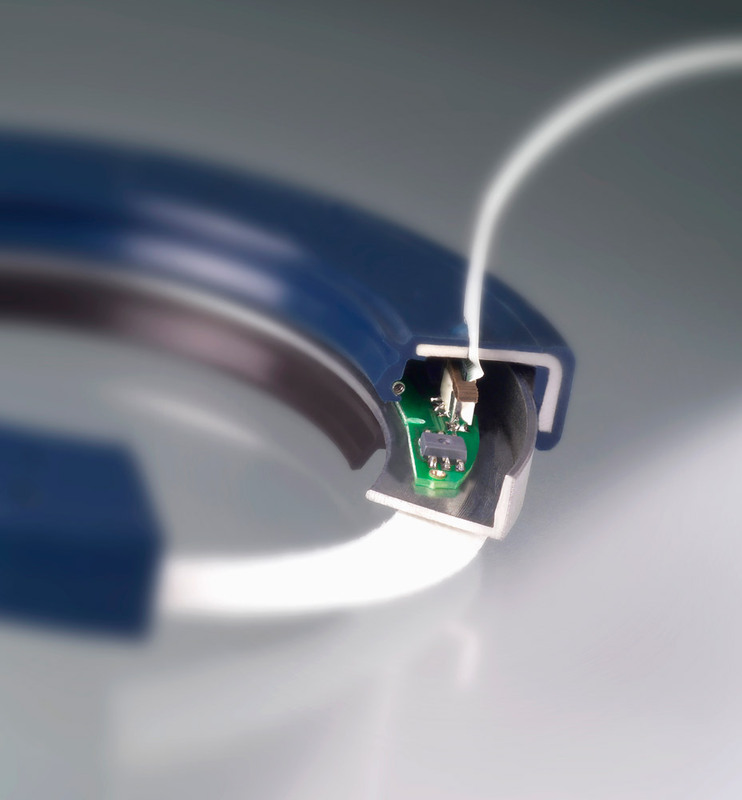 In 2010, Freudenberg succeeded in developing and manufacturing what was then the world’s smallest elastomer Simmerring. It seals rotating shafts with a diameter of just 1 mm at more than 10,000 rpm, is insensitive to geometric tolerances and offers pronounced dry-running capabilities. The smallest features of this micro-Simmerring are a few hundredths of a millimeter in size. Typical applications for the micro-Simmerring include tiny pumps, drives and actuators. In lab work in the medical field, for example, fractions of a droplet of blood must be analyzed. Micro-Simmerrings are also used in industrial applications that require minimal lubrication, in adhesives-dosing, and even in AdBlue micro-injection pumps.  The backup rings integrated into Simmerrings were traditionally stamped from sheet metal, leaving a significant portion of the metal as scrap. In 2010, however, Freudenberg developed a new process for metal-forming that changed this. The process, its narrow strip forming laser welding technology (SUL), offers tremendous . advantages. SUL operates almost completely scrap-free and significantly reduces material use compared to conventional stamping.  The process also eliminates the use of stamping and drawing oils. And SUL results in substantially greater quality in the sheet metal rings while increasing the overall speed and flexibility at which the company can develop new products. Just one SUL facility saves 1,800 tons of steel per year, decreasing CO2 emissions by about 2,700 tons. CO2 is also reduced due to lower material deliveries. In 2011, this groundbreaking installation was honored with the „German Innovation Award for Large Companies‟ and the „German Innovation Award for Climate and Environment." One of the classic applications for a Simmerring in internal combustion engines is sealing he rotating crankshaft toward the housing. Even if the seal lip’s contact with the shaft is lubricated with an oil film, the resulting mechanical friction decreases performance. This results in higher fuel consumption and more CO2 emissions. Freudenberg developed the gas-lubricated, mechanical face seal, Levitex, to reduce this friction. It consists of a stationary unit and a rotating unit that runs on a cushion of air. As a result, there is no wear on the sealing lip. The design eliminates the risk that the sealing surface could run dry if there is no oil. The result is less wear, more uptime and a longer lifespan. The seals even resist extremely fine dust and water penetration. 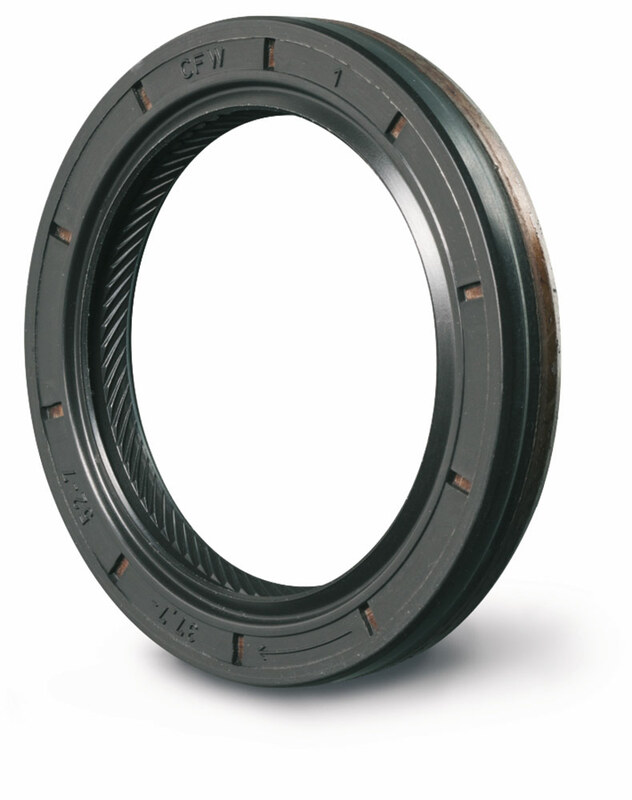 Levitex reduces frictional losses by 90 percent compared to a conventional crankshaft seal ring and decreases CO2 emissions during driving by up to 1 gram per kilometer. While hybrid and electric vehicles are becoming increasingly popular and important, they present manufacturers with new sealing challenges. 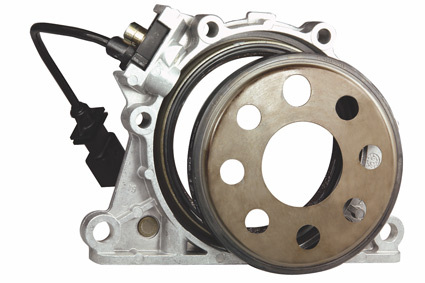 Electric motors operate with about 400 V and are generally installed on the input shaft of the transmission. Since electric potential can build up between the housing and the shaft, a Simmerring used in this application must do more than protect the electrical portion of the powertrain from transmission oil contamination. Electrostatic potential can lead to current flow and an uncontrolled voltage discharge that causes serious damage to the vehicle. In a classic elastomer seal, the buildup of electric potential cannot be dissipated because the plastic functions as an insulator. 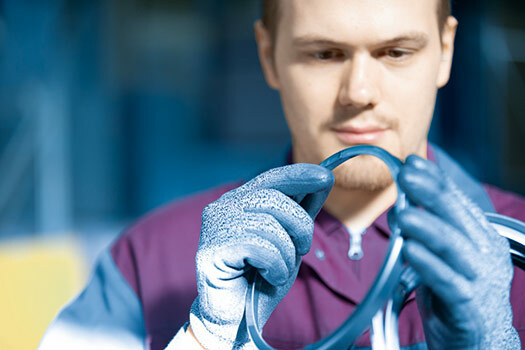 In response, Freudenberg Sealing Technologies developed a Simmerring that incorporates a conductive nonwoven material. The Simmerring forms a conductive bridge between the shaft and the housing so that an electrostatic charge cannot develop in the first place. It also eliminates the need for additional measures to dissipate electric charges, a definite advantage to automakers. The first Simmerring catalog, published in 1936, was designed to make the selection of the right Simmerring as easy as possible for customers. As the portfolio of products grew, many editions followed. The edition of the Simmerring catalog that appeared in 2015 was the first global online version in the history of the Simmerring. Published in 11 languages, the catalog had more than 200 pages in its printed version and contained more than 7,700 items. All of the technical data was listed in unit designations current in both Europe and the U.S. There was also a special section for Simmerrings in inch-based measurements. The online version was available as an e-paper and as a pdf download. With the development of the Simmerring more than three-quarters of a century ago, Freudenberg introduced a new chapter into its long-standing success as a sealing company. Thanks to decades of refinements and modifications, Simmerrings are an engine of technological progress today. In cars, agricultural and construction machinery, machine tools, household appliances, wind turbines and ships, Simmerrings reliably seal rotating shafts and their housings against oil loss while keeping moisture and dirt out. Innovations have long been part of Freudenberg’s DNA. The company’s first innovation – the development of patent leather in 1850 – has been followed by an uninterrupted flow of new inventions and technologies. With the development of the Simmerring, Freudenberg was once again ahead of the industrial curve. The company anticipated future trends and developed new materials and processes even before customers were asking for them – and that approach continues today. One future trend that Freudenberg Sealing Technologies is addressing involves seals with additional functions. Constrained by ever-smaller installation spaces, components need to take over multiple functions. Encoders were the beginning of this trend but it continues to advance even further thanks to the development of smart materials. Smart materials are electrically conductive and have certain surface characteristics. They clear the way for the integration of Industry 4.0 processes – seamless communication between the individual systems in industrial installations – since seals are now taking over the tasks of sensors and actuators. 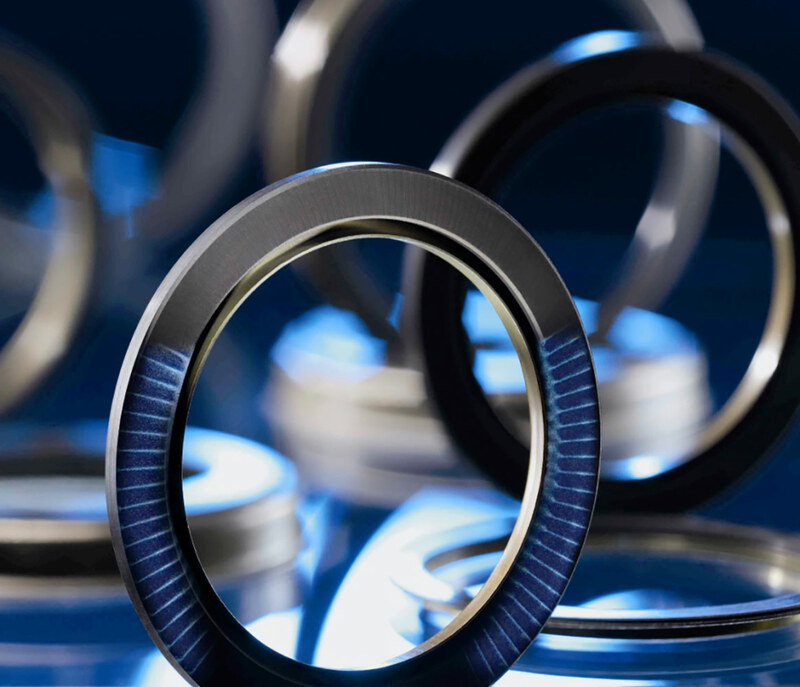 Freudenberg is developing a portfolio of new industrial materials in response to growing requirements for seals that can successfully withstand higher pressures, aggressive new media and a broader range of temperatures. But the future is not restricted to material development. Solutions such as the gas-lubricated and nearly frictionless mechanical face seal, Levitex, are increasingly making inroads into various applications. Whether a seal is large or small, the environmental challenges it is expected to address often drive new design innovations. For example, today’s Simmerrings must enable heavy rollers in steel mills to rotate without disruption, huge cranes to quickly load containers, and cement works to crush rocks and operate continuously. They must also reliably seal tiny rotating shafts in micro-pumps and crankshafts in internal combustion engines. 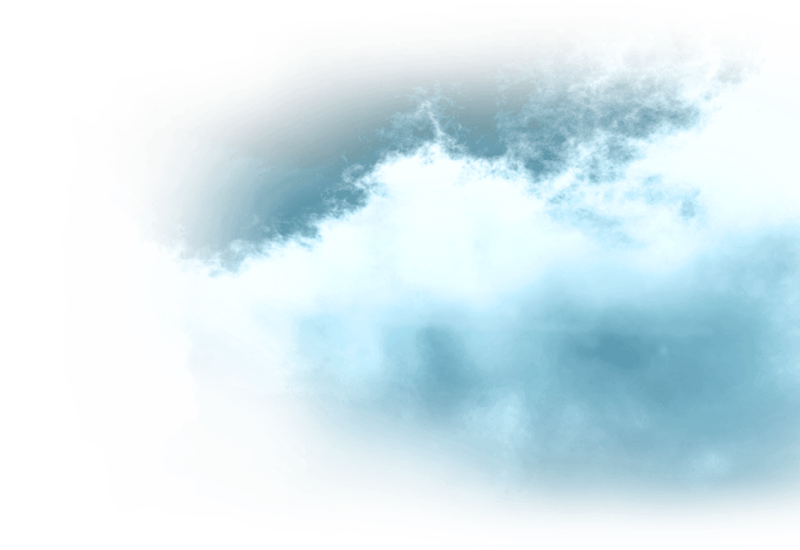 Regardless of size, seals must continue to reliably seal despite enormous stresses: fluctuations in temperature and pressure, the presence of sand and mud, high levels of moisture, ultraviolet radiation and much more. 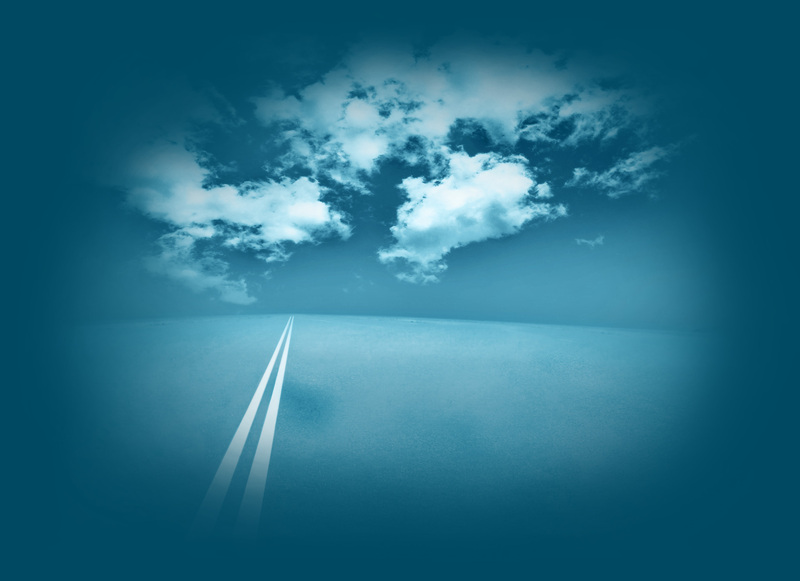 In the automotive field, Freudenberg is successfully supporting the industry’s efforts to achieve ever-higher efficiency and lower emissions. The results are sealing solutions that integrate seamlessly into the newest powertrain, steering, driveline and electrical vehicle systems. For example, the wheel and axle hubs of commercial vehicles are reliably sealed against mud and water with cassette seals. And Freudenberg engineers have come very close to realization of a frictionless seal: The Levitex crankshaft seal produces a cushion of air that enables it to seal the engine compartment practically friction-free. In micro-pumps, the micro-Simmerring effectively seals rotating shafts with diameters of just a millimeter, and they do it at more than 10,000 rpm. The smallest details of the seal’s structure are in the range of a few hundredths of a millimeter.  The other extreme includes Simmerrings with the diameter of a hula hoop for steel and cement plants and for mining. Despite their size, extremely small production tolerances are required. This also applies to Freudenberg’s largest Simmerring, a special development with a diameter of 1.7 meters for ship propulsion systems. 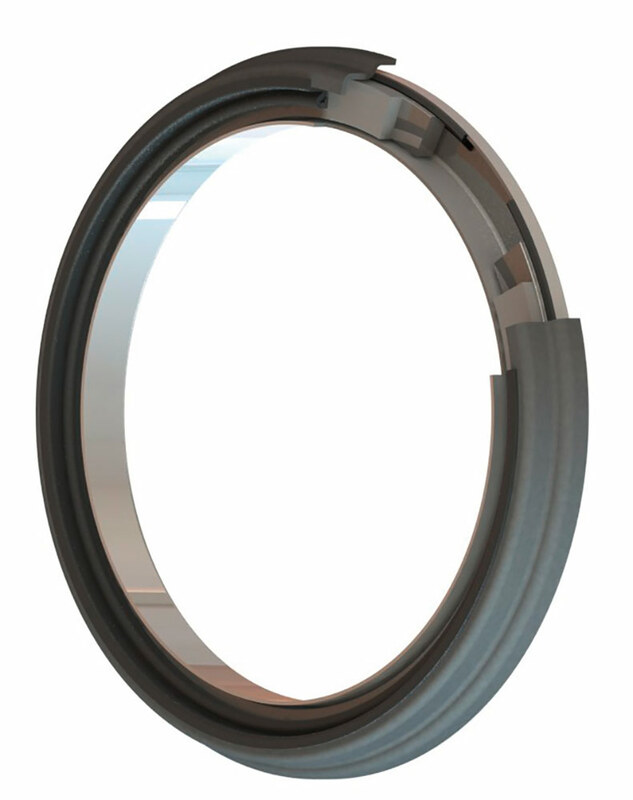 Simmerrings can also be found in the form of dynamic seals in wind turbines – both on the shaft of the main gearbox or in the rotor blade or azimuth drives. Thanks to innovative materials, they successfully withstand constant changes in temperature and shaft stress.. Simmerrings are also critical in the food and beverage industry. Here industry requirements are again unique and hygiene is a top priority. That’s why a Simmerring that is especially easy to clean was developed for mixers and stirrers. The Radiamatic HTS II stands out for its low frictional torque and good dry-running characteristics. It is also FDA-compliant and has minimal dead space in accordance with hygienic design. 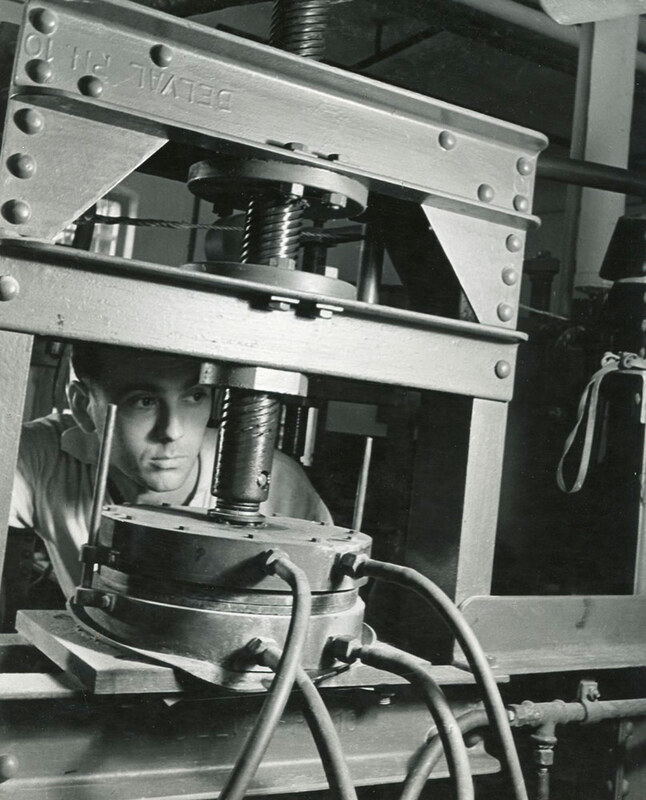 Continuous improvement has been a major focus within Freudenberg since the beginnings of its industrial production. In the first decades of Simmerring manufacturing, however, improvements were not system wide and were carried out within individual manufacturing stations. The „Q76‟ quality assurance program, which was introduced in 1976, ushered in a quality revolution. It was an adaptation of the Japanese kaizen method based on the Toyota Production Systems. The program not only identified individual manufacturing weaknesses but also improved the quality of teamwork and cooperation overall. Thanks to the efforts of several cross-functional quality teams, Freudenberg introduced a concept that was new to its operations at the time: empowering small working groups to analyze pending issues and work out proposed solutions. The task of the new „Points of Failure Suggestion Program‟ was to identify and eliminate sources of error. Despite its ungainly name, the program was a complete success. Over a period of just five years after the initiative’s launch, more than 11,000 suggestions and proposals for improving Simmerring manufacturing were submitted. The Q76 was a model for success and laid the foundation for a quality audit that was initiated the following year. The audit helped Freudenberg not only analyze whether quality-related activities had been implemented but also if organizations had the resources needed to achieve certain quality goals. The growing pressure to innovate demanded a systematic improvement process. In 1994, as a further refinement of the tried-and-tested Q76 program, Freudenberg introduced GROWTTH – Get Rid of Waste Through Team Harmony – as a key component for shaping the company culture. GROWTTH also relied heavily upon kaizen as well as many other quality improvement tools. It was first introduced to Freudenberg employees in the United States in 1992. It became the company’s global standard two years later. The concept began to work immediately and team members In Germany had the same positive experience that had already led to improvements in manufacturing in the U.S. It required employees to work in cross-functional project teams, identify and immediately implement areas of improvement and track the impact on the company’s value chain. 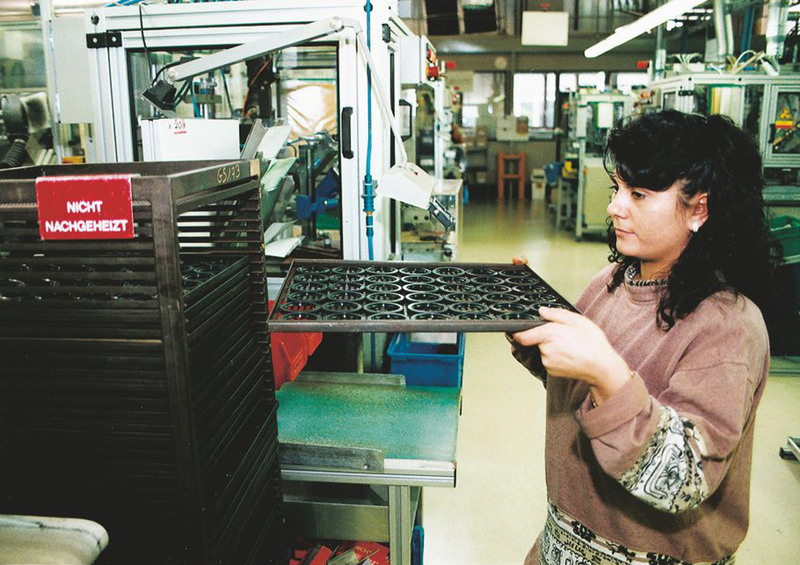 In May 1994, five kaizen projects based on GROWTTH methodologies had already been completed in Simmerring manufacturing. 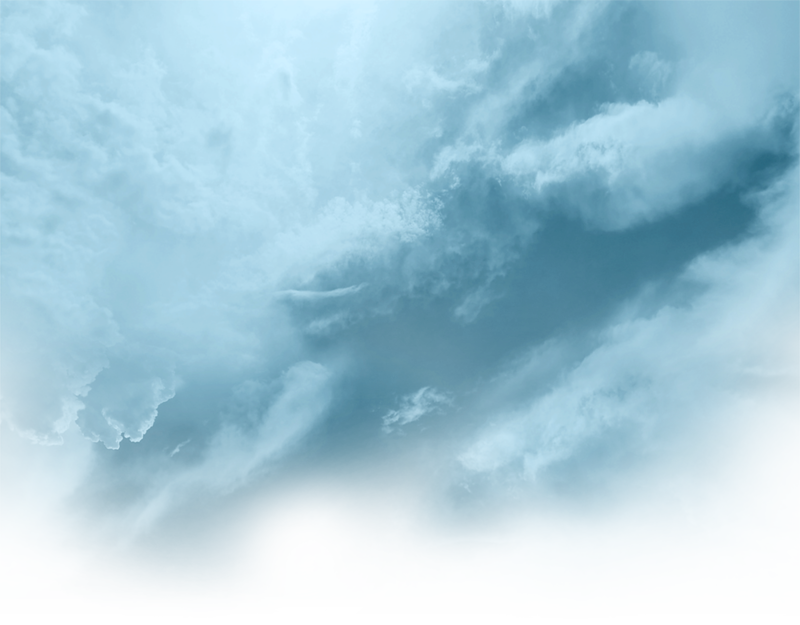 Freudenberg’s adoption of Six Sigma principles was the next step on its quality journey. 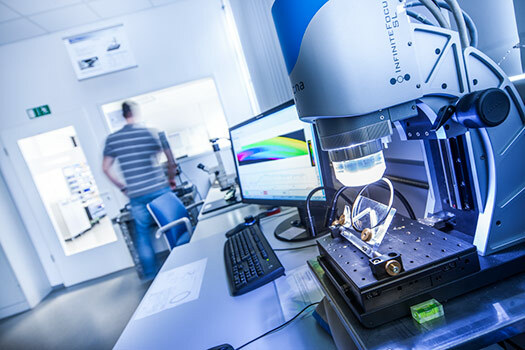 In 2002, the then-business group Freudenberg Sealing and Vibration Control expanded its activities in quality assurance using the Six Sigma methods first introduced by Motorola in the U.S. in 1987. Six Sigma quickly became a benchmark for quality assurance and is the standard today. Six Sigma relies upon systematic, statistical methods to improve quality. It was designed to reduce deviations from specifications and defined limits. 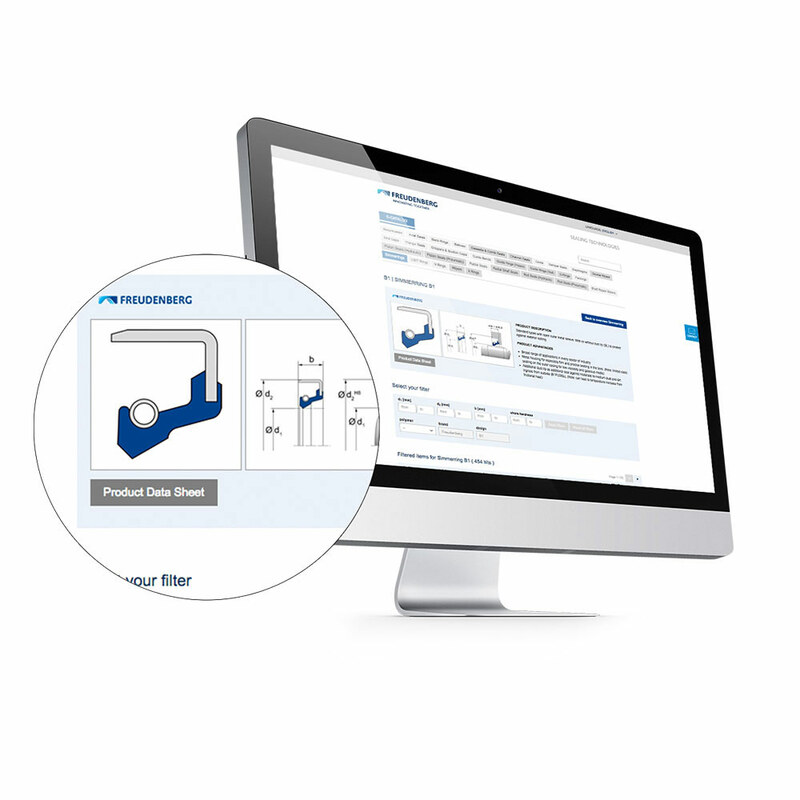 Thanks to Six Sigma, the error index for Simmerring production at Freudenberg Sealing Technologies is now below 1 ppm. That number represents one defective part per million and means minimal scrap in production and maximum product safety for the customer. The more than 200 million Simmerrings that Freudenberg produces each year must meet increasingly varied extremes that include pressures of up to 200 bar, temperatures ranging from -50 to +180°C, shaft rotational speeds of up to 30,000 rpm, and contact with aggressive media. These requirements can no longer be met with a single material. 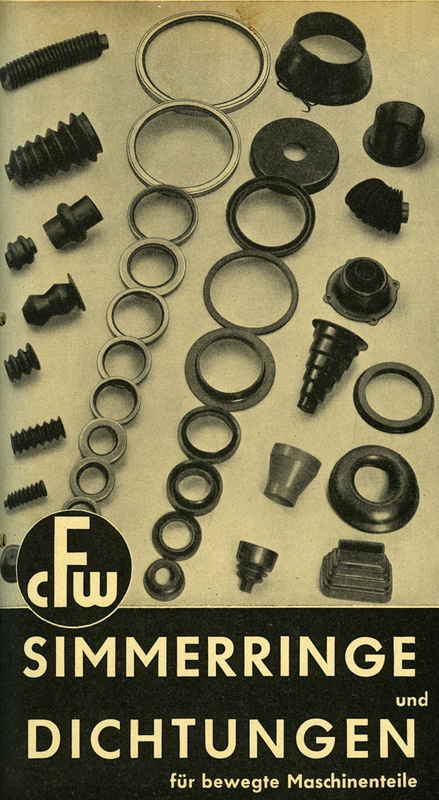 Freudenberg began its search for new and better seal alternatives in the 1930s. 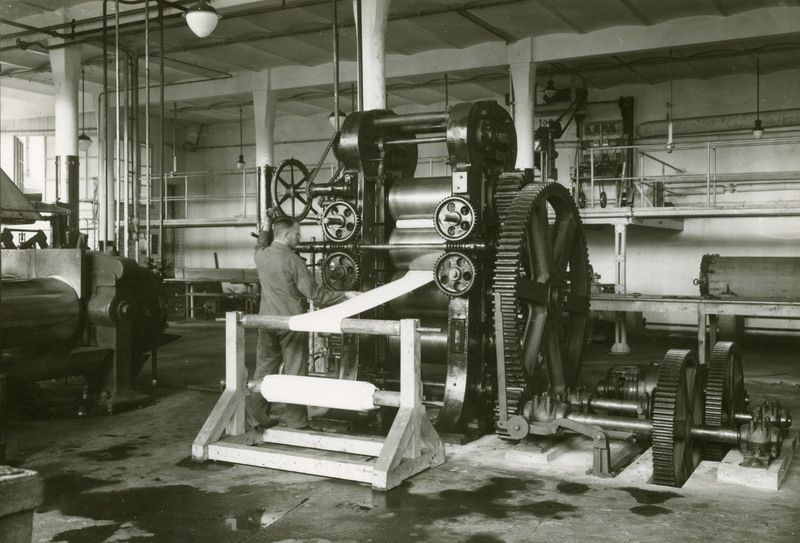 While there was just a single sealing option, leather sleeves, in 1929, advances in elastomer technology spurred new developments. Natural rubber was the primary material used in damper and vibration control applications, but the synthetic rubber, NBR (nitrile butadiene rubber), became the material of choice for Simmerrings. The material’s performance characteristics – good mechanical strength with high elasticity at temperatures ranging between -30 to +100°C – made it ideal in multiple industrial applications. Aside from the synthetic rubber NBR, hydrogenated nitrile rubber (HNBR), which is considerably more heat- and wear-resistant than NBR, polyacrylate rubber (ACM) and fluoro rubber (FKM) have also caught on. These elastomers are mainly different in their resistance to media and extreme temperatures. While NBR remains in demand as a broad spectrum Simmerring material, the use of fluoro rubber (FKM) has been growing as performance requirements become more specialized and challenging. Simmerrings in industrial engines must exhibit a lifespan of more than 15,000 operating hours. 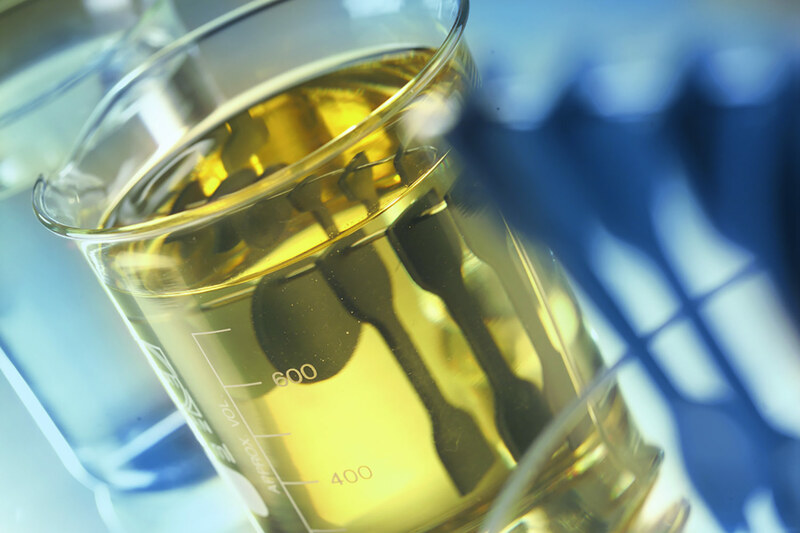 Among other things, this requires high resistance to synthetic oils such as polyglycols.  Freudenberg’s answer is 75 FKM 260466. Simmerrings made of this fluoro rubber last 80 percent longer and exhibit 70 percent less wear over their lifespan than other materials. Polytetrafluoroethylene (PTFE) is another proven material. Back in 1980, it was already replacing the elastomer seal edge in many Simmerrings when extremely low coefficients of friction (the ratio of frictional force to contact pressure) and chemical resistance to practically all oils and additives were required. Its continued flexibility even below -40°C is relevant to many applications, as is its high temperature resistance of up to +260°C. Modern, high-performance materials continue to deliver remarkably superior sealing results when compared to the first seals made of leather. The development of new materials has been a long and exciting road, and Freudenberg remains a leader in material formulation and testing.